Twenty-three states plus the District of Columbia have legalized the use of medical marijuana. In early November, Ohio voters rejected legislation that would have made them the 24th state. Despite nearly half the states having legalized marijuana, there is little “official” information available on medical marijuana, driving people to use online sources, including social media channels, to better understand its uses and health impacts. Since 23 state laws contradict the federal law (which labels marijuana a Schedule I drug), pharma brands may be reluctant to invest in medical marijuana because the move could rankle the federal and state agencies that police the industry. This overarching challenge will end once the United States has a uniform classification of medical marijuana between the state and federal laws. Only then will they be able to get more actively involved in research and, perhaps, the development of profitable medical marijuana drugs. That doesn’t mean pharma brands should sit idly by. Here are four things pharma brands can do about medical marijuana. Want a comprehensive look at the conversations surrounding medical marijuana? 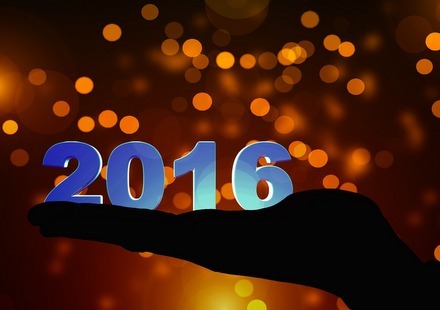 Get our free report! Patients and their doctors can benefit from up-to-date research on the use of medical marijuana. Pharma companies may want to focus such research on optimal treatment of the symptoms and medication side effects that are already identified for medical marijuana use. If medical marijuana is found to improve patient tolerance of needed medications by controlling side effects and relieving symptoms, then supporting the use of medical marijuana as “complementary” to effective traditional medications would be a win-win. It could help return patients who discontinued drug use due to intolerable side effects, while building positive relationships with large groups of end users, their families and medical practitioners. 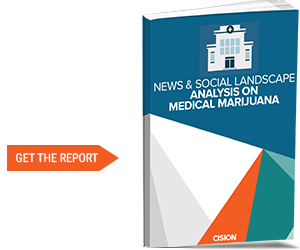 What we found in Cision’s recent “News & Social Landscape Analysis on Medical Marijuana” report is that medical marijuana for cancer patients is by far the most discussed medical topic. This is true for both online news sources and social conversations. Reclassifying marijuana will make it easier to conduct research in the U.S. Consider the benefits if the typical side effects of chemotherapy, such as nausea and loss of appetite, were lessened or better tolerated by the additional use of medical marijuana. In fact, pharma companies may have other drugs in their portfolios with side effects of a similar nature. Why not also conduct research on the use of marijuana to lessen symptoms from existing medications? A number of pharma-backed, synthetic marijuana-like drugs have not advanced through clinical trials due to a lack of proven benefit. Yet there is mounting evidence that the organic plant does help people with a number of ailments. By reclassifying marijuana, drug companies will be able to conduct research using the natural plant, deriving targeted drugs from the more than 400 chemical compounds present in a cannabis plant. Pharmaceuticals are subject to significant oversight by the FDA. Where products are manufactured, current Good Manufacturing Practices (cGMP) must be followed. Why shouldn’t the marijuana industry be subject to these same standards? Testing for quality, dose strength and purity are examples of how the pharma industry’s experience can bring a safer and more consistent medical marijuana product to market, versus patients purchasing leaves and buds from a local dispensary. As I noted earlier, patients and doctors could benefit from research on the effectiveness and use of medical marijuana. The interesting thing is that medical marijuana may not be a clinically-proven treatment for diseases or disorders. If pharma brands can show that medical marijuana can complement other prescription drugs, they will build loyalty as patients use them in tandem. Since 2013, a majority of the U.S. adult population has favored the legalization of marijuana, according to Gallup polls. Instead of continuing to fight marijuana laws, pharma companies may have more to gain from loosening restrictions on access to medical marijuana while ensuring the natural product and its derivatives meet quality standards.